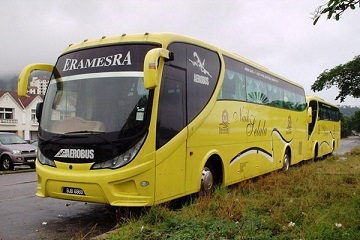 Era Mesra is an express bus company which is based in Parit Buntar, Perak. 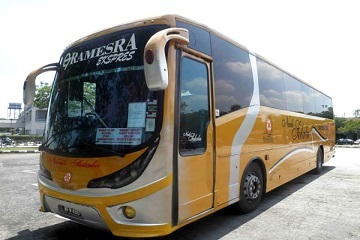 It has been operated in the express bus industry for more than five years. Initially, Era Mesra only operates from Parit Buntar and Butterworth, Penang. Throughout the five years of growth in the industry and expansion, Era Mesra started to expand its business at other state in Malaysia. It has added new routes from Perak to other destination in the Peninsular Malaysia. Era Mesra offers over 30 bus routes departing from Selangor to Perak daily. The pick-up points at Selangor are Shah Alam Terminal and Klang while the drop off points at Ipoh are Ipoh Amanjaya, Bagan Serai, Simpang Taiping, Parit Buntar and Kamunting. The bus ticket price range from Selangor to Perak is about RM 33 - RM 42. 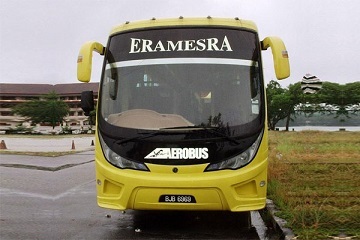 Besides that, Era Mesra also offers bus routes from Shah Alam Terminal Selangor and Klang, Selangor to Bukit Mertajam, Nibong Tebal and Butterworth. The bus ticket price range from Selangor to Penang is about RM 42 - RM 48. 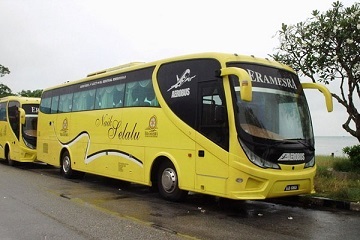 In addition, Era Mesra also provides bus services departing from Selangor to Johor, Kedah and Perlis every day. 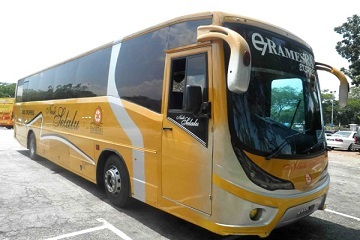 Era Mesra (KL) is an agent who sell bus tickets of Era Mesra express, KMK, A-Class Express, Amazing Express, Big Star Express, Sepakat Liner, which provide bus services to all passengers from Pudu Sentral, Kuala Lumpur to various cities and towns within Malaysia. 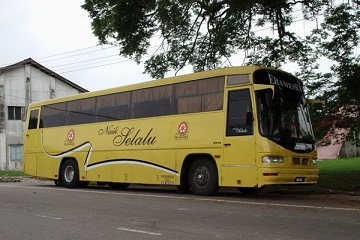 Some bus routes that's being offered by the respective bus under Era Mesra includes buses from Pudu Sentral, Kuala Lumpur to the various cities such as Butterworth, Sitiawan, Parit Buntar, Bagan Serai, Alor Setar, Sungai Petani, Lumut and heaps more. Era Mesra buses are equipped with air-conditioning and comfortable seats. The buses from Era Mesra are in single deck with 27 seats or 30 seats. All of the bus driver are well-trained and professional to ensure passengers have a pleasant journey. Kaunter 2, Klang Sentral, 41050 Klang, Selangor. Kaunter 11, Seksyen 17 Bus Terminal, Shah Alam. Kt-37, Tingkat 1, Pudu Sentral, Jalan Pudu, 50100, Kuala Lumpur, Malaysia.